Home > About Debt > What is an ERO? For the millions of people in debt across the UK the Government have developed a new initiative that may be the lifeline they’ve been waiting for. In January of this year the Government announced proposals to launch Enforcement Restriction Orders. These EROs, it is claimed, will enable people in severe debt to take a break from their repayments while they get back on their feet. As debt levels reach their highest levels in recent years it’s not surprising that the Government has saw the need to step in with what is being billed as the biggest change in legislation with regards to debt for years. But what exactly are EROs and how will they work? What are EROs and who Proposed them? Plans for Enforcement Restriction Orders were introduced in a Ministry of Justice consultation paper. If the plans go ahead consumers who find themselves sin debt will be able to take a “payment holiday”. Only consumers who had found themselves in trouble because of a change of personal circumstances could apply or the ERO. A change of circumstances includes getting a divorce or becoming unemployed. The amount of debt the person can take a break from paying has no limit but it is important that the person must be able to show they will be back on their feet and able to resume payments at the end of the ERO. The debts would still accumulate interest. Can I take a Payment Holiday from all Debts? EROs will not enable people to stop paying all debts. Student loan debts and mortgage repayments must still be made. It has also not been decided whether or not bills will be included. However all other debts will be put on hold for a year, with the intention of giving those in debt the chance to get themselves together and adapt to their new situation before resuming payments. Will I still need Payment Protection Insurance? One argument against EROs is that they may have a negative affect on the payment protection insurance industry. Payment protection insurance is used to cover payments when a person finds their circumstances have changed. For example, if a person is made unemployed and can no longer repay their debt their PPI will cover them until they get back on their feet. The argument is if EROs do the same thing PPI sales will fall dramatically, causing detrimental consequences to the PPI industry. Enforcement restriction orders, if they become legislation, will prove to be an essential tool for anyone in severe debt. However it may take many months or even years for the legislation to be passed and, as with other debt solutions, people should not rely on them to bail them out. Primarily they should budget and be aware of what they are spending. 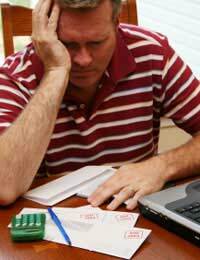 Before entering into any debt solution it is vital that you consult a debt counselor who can help you decide what is the bets route for you to take and take you through all of the options.